Today is World Egg Day. 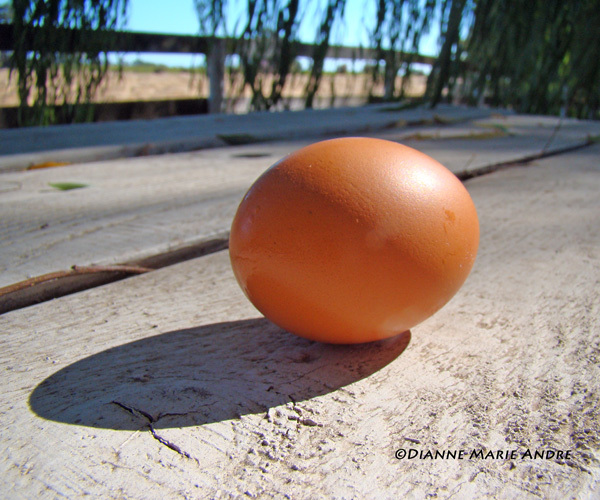 I celebrated by photographing a few of my hens’ treasures. I’ve had layers for seven years and no matter how beat I am at the end of the day, when I peek into the nesting boxes I am like a child looking for a prize. To everyone around the world: Happy World Egg Day! This entry was posted in Blog and tagged eggs, Happy World Egg Day, hens, nesting boxes, photography, World Egg Day. Bookmark the permalink.